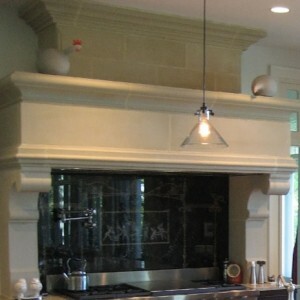 From Greece to Italy and England to France, the Rothchild stone range hood was inspired by international travels. Bring your family and friends together around warm meals from around the world inspired by this classically designed range hood. Its many European-inspired design sentiments feature details like keystone features and stylish Acanthus leaf, all of which also resemble our Rothton cast stone mantel.